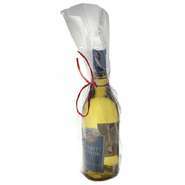 Clear cello bags make the great package for samples, food products or even party favors. 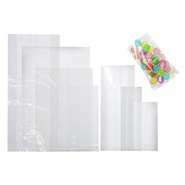 These individual size bags come in a variety of sizes and styles. 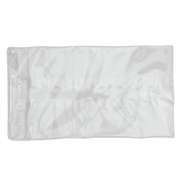 Clear Flat Cello Bags 5 3/4" x 7 3/4"
Clear Flat Cello Bags 3" x 5 1/2"
Clear Cello Bags w/ Side Gusset 6" x 13"
Clear Cello Bags w/ Side Gusset 2 1/2" x 7 1/2"
Clear Flat Cello Bags 3 3/4" x 6 1/4"
Clear Flat Cello Bags 8" x 12"
Clear Cello Bags w/ Side Gusset 7" x 18"
Clear Cello Bags w/ Side Gusset 7" x 15"
Clear Flat Cello Bags 10" x 14"
Clear Cello Bags w/ Side Gusset 4" x 9 1/2"
Clear Flat Cello Bags 6 3/4" x 9"